Looks crispier than the first capsule. 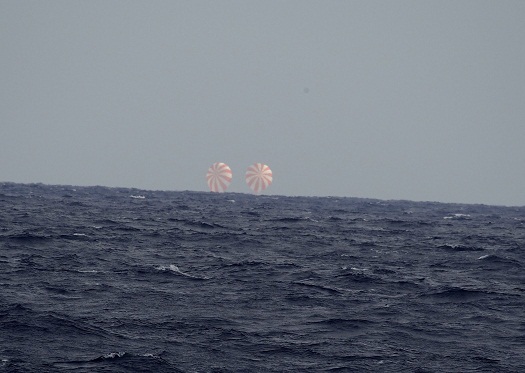 Faster re-entry? 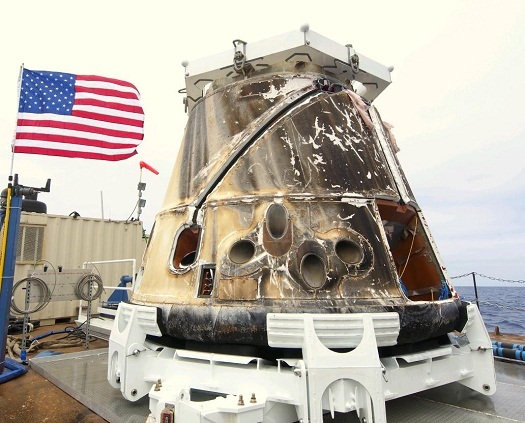 It looks like one side of Dragon gets a lot darker then the other, I would guess the dark side is the one facing the ground, where more of the burned material of the heatshield gets deposited? Interesting, if you look at the white scratches it look like most of the black is just soot that is realtively easy to clean off. I imagine these white patchs were caused by parachute cables rubbing on the paint work while in the water and cleaning off the deposits. I would like to see this fly again to demonstrate how re-usable it is as that is one of the aims of SpaceX to reduce the total cost. Anyone got some solid information rather than supposition? My guess is more payload mass. 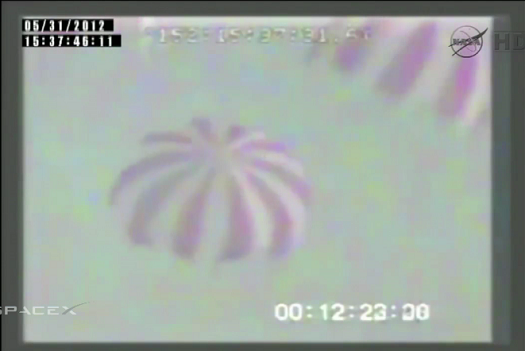 Last time the payload was a wheel of cheese. This time it is 1,455 lbs of ex-ISS equipment. More mass > more kinetic energy > more heating for longer. 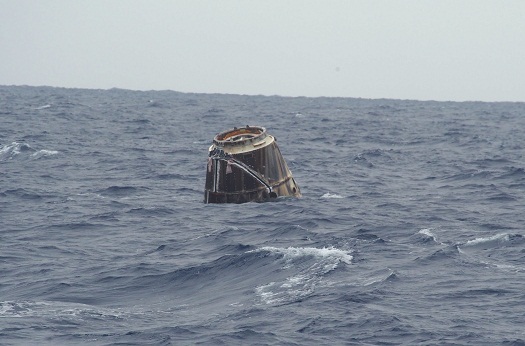 Also notice how this Dragon sits lower in the water than the COTS 1 Dragon, again confirming the heavier vehicle.